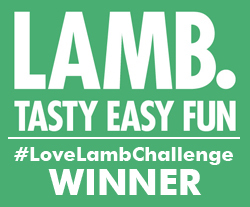 So back in May I entered a couple of my new lamb mince recipes in the Lamb Recipe Challenge and my tasty lamb koftas won first prize! How fabulous is that! 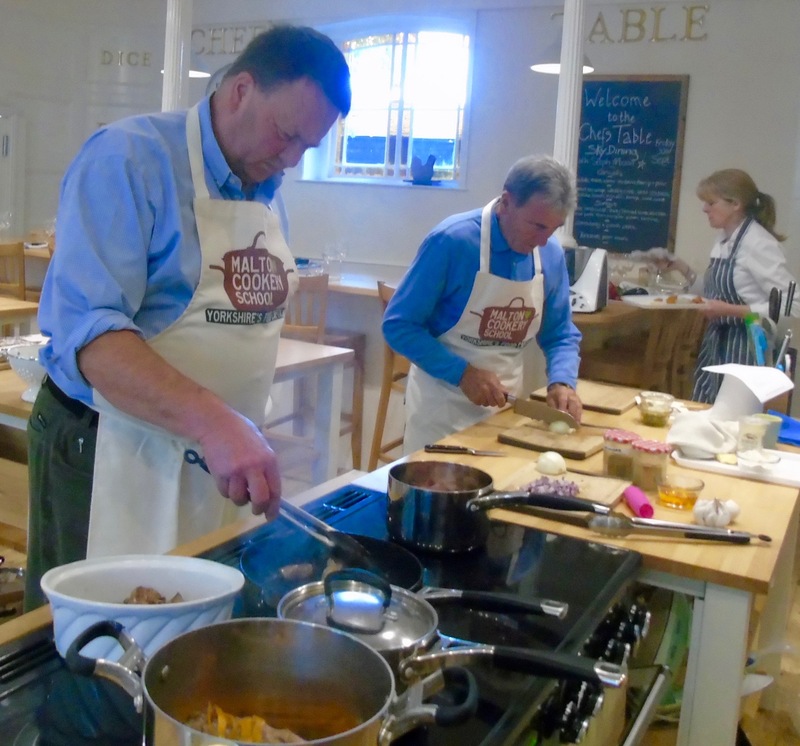 My prize was a trip to the foodie town of Malton in Yorkshire for a Cooking with Yorkshire lamb workshop. 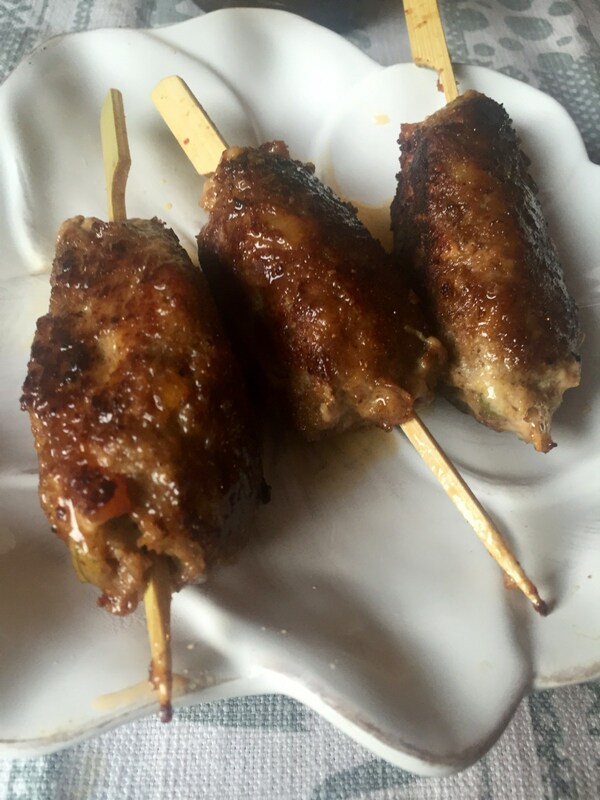 Try the recipe for my delicious award-winning lamb koftas. And then it was time to discover more secrets about cooking lamb. In October we hopped on the train from London, heading for the lovely Yorkshire town of Malton. It’s described as the foodie capital of Yorkshire and despite being relatively small it’s packed with individual shops including three butchers, a raft of bakeries, fruit and veg sellers and a monthly market, among other things. You can read all about the town and what to do there in a later post. 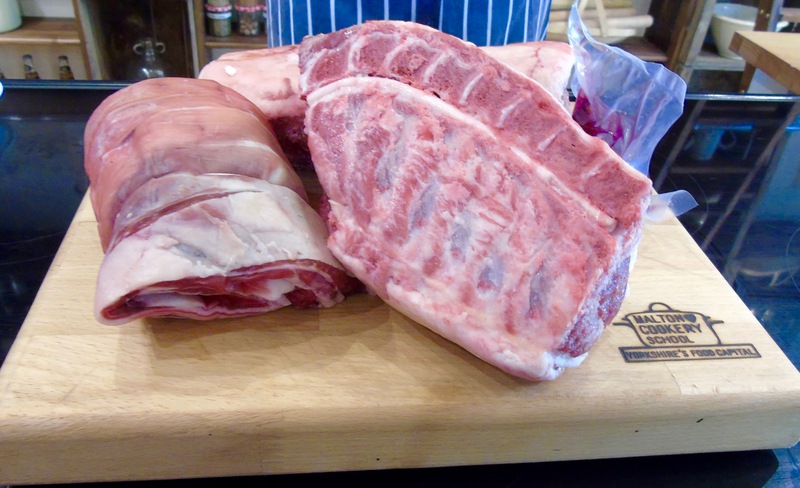 Today we’re heading for the Malton Cookery School for some butchery know-how with lamb, starting off preparing the cuts we’re going to use and then making a range of tasty dishes. 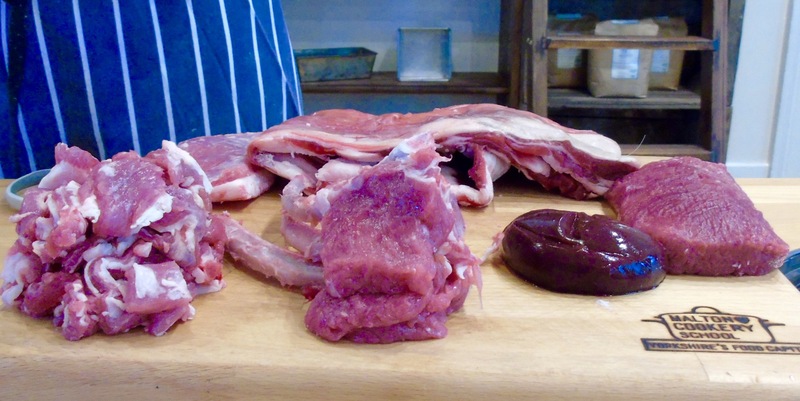 We were presented with an impressive array of meat and under the careful eye of our teacher Gilly began to slice and trim, using every bit of the lamb on offer. 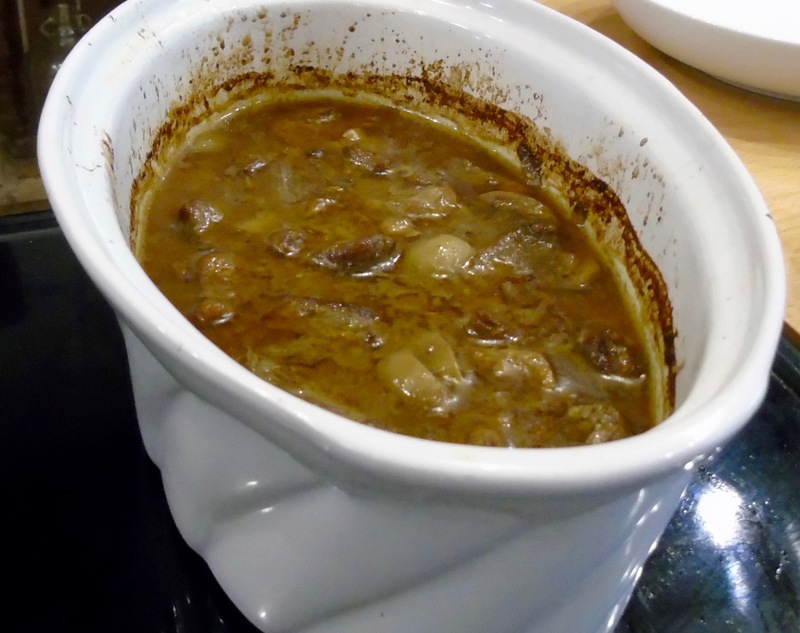 I’m sharing a couple of simple recipes we cooked on our course which are perfect lamb accompaniments. 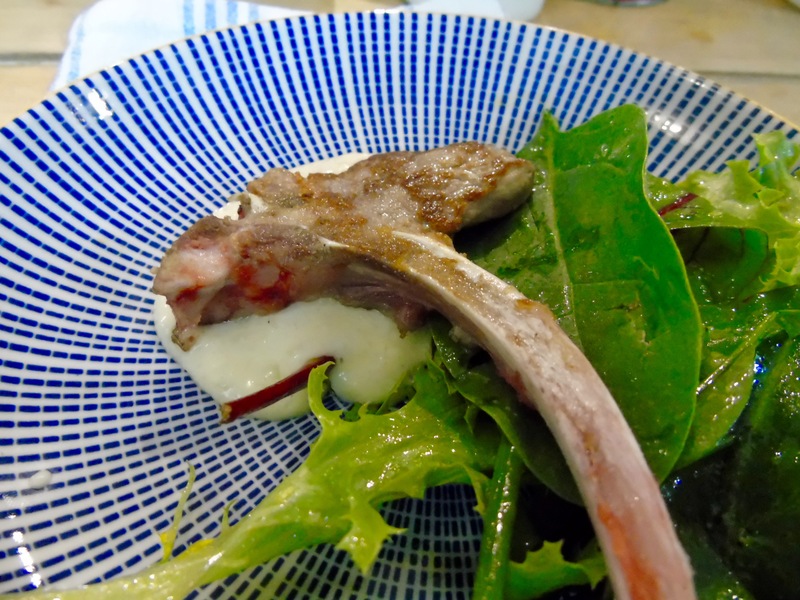 Lamb cutlets were trimmed, flash fried and served with a simple and amazingly simple and tasty soubise sauce which I had to share the recipe for with you. This sauce is great with all types of meat. Make the bechamel sauce by stirring the flour into the melted butter, adding the milk and stirring until smooth. Soften the onions in the butter until very soft but with no colour. Add the cream and the béchamel sauce. Blend in a blender until smooth and serve with the lamb cutlets. We used the shoulder cuts to make a rich, satisfying tagine. We also prepared a chunky ratatouille to serve with the king of our cuts – the lamb fillet. I love this recipe as it’s not mushy like ratatouille can be, rather a bed of colourful vegetables topped with a tomato sauce makes the perfect bed for the lamb. Cook the tomatoes, onions and garlic in a splash of oil until very soft. Blend until smooth. Cook the diced vegetables in the butter in the following order: onion, pepper, courgette, aubergine and tomato. Make sure they still have a good bite to them, we don’t want mushy veg! Season the lamb with salt and pepper. Heat the oil in a pan and seal the lamb on all sides, cooking for about 10 mins. Set aside to rest while you dish up the ratatouille. Reheat the tomato sauce and spoon onto the plates, top with the diced veg and slice the rested lamb fillet into noisettes. Arrange on the vegetables and serve. 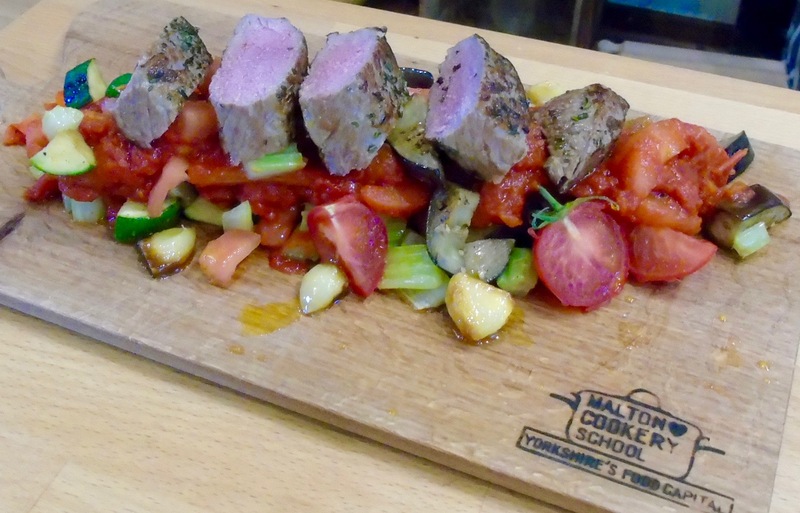 Find out about the range of courses at Malton Cookery School. There’s plenty to choose from including cooking with seafood, game, meat and even baking. Thank you. I did really love Malton, would go back any time.